oligonucleotide synthesis is an evolving technique that forms inexpensive, custom-made oligonucleotides with the desired sequence. Its importance lies in its contribution in DNA or RNA synthesizing and hybridization and in the synthesis of artificial genes. Advancing technologies have substantially raised the hope for better treatment in the healthcare sector. One of the chief driving forces is biotechnology which is constantly updating itself and impacting the former sector. The global oligonucleotide synthesis market is expecting an astonishing 10.3% CAGR during the forecast period (2014-2022), reveals Market Research Future (MRFR) in a broadly demonstrated report. The report further incorporates factors that are contributing much for the market growth which includes ventures and investments made by big pharmaceutical companies, contract manufacturing organization’s involvement in the market and global prevalence of chronic diseases spurring the demand for better medicines. The oligonucleotide synthesis requires expert hands, and its research and development process can incur high expenditure which can impede the growth in the near future. it has the potential to counter chronic diseases by developing suitable drugs which can create a favorable ambiance for the market. Some of the key players in this market are Integrated DNA Technologies, Inc (U.S), GE Healthcare (U.S.), Agilent Technologies Inc. (U.S.), Sigma-Aldrich Corporation (U.S.), Bioautomation Corporation (U.S.), Thermo Fisher Scientific Inc. (U.S.), L.G.C Biosearch Technologies (U.S.), Eurofins Genomics (Germany), Eurogentec S.A (Belgium), and Nitto Denko Avecia Inc. (Japan) and others. The competitive market is witnessing several strategies being implemented by market behemoths. For instance, Danaher’s taking over of Integrated DNA Technologies can be seen as an effort to enhance the market portfolio. LGC is following the same suit by acquiring BioAutomation Corporation, the latter a manufacturer of the renowned MerMade oligo synthesis instruments. On the other hand, STA Pharmaceuticals has signed a collaboration with Regulus to establish high-quality oligonucleotide research and development center. The global oligonucleotide synthesis market can be segmented by product type, application, and end-users. Product Type– the market can be segmented into synthesized oligonucleotides, reagents and equipment. Application– wise segmentation of the market includes diagnostic, genetic testing, research, therapeutics, gene synthesis, library preparation, drug target screening, and others. Based on end– users, the market comprises academic research institutes, diagnostic laboratories, and pharmaceutical & biotechnology companies. Region-specific segmentation of the market includes North America, Europe, Asia Pacific (APAC), and the Middle East & Africa (MEA). North America has the largest market for oligonucleotide synthesis. The region invests in research and development substantially, and it has a superlative infrastructure in biotechnology sector which is triggering further market growth. In addition, the healthcare sector, with an eye searching constantly for new treatments for chronic diseases such as cancer and diabetes, is taking the market forward. Governments and private investors are also funding researches as they are equally eager to get positive results. Europe is also fetching in substantial revenue as the region has almost similar kind of ambiance like North America for advanced researches. And its position has further been solidified by the presence of big league market players. 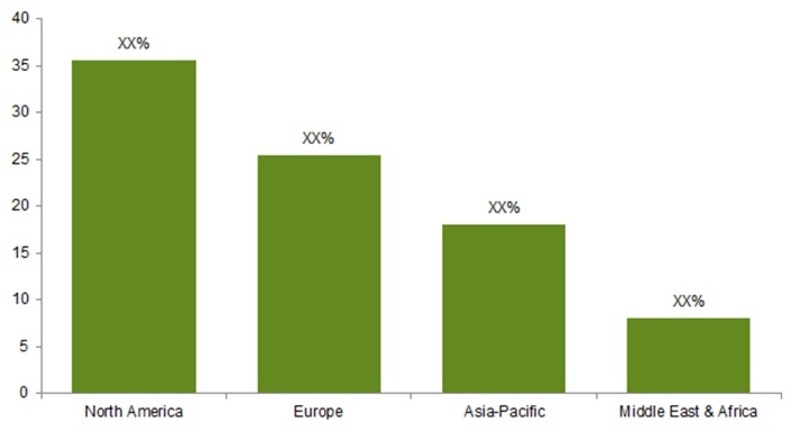 The APAC region is showing lots of promises as emerging economies such as India and China are investing heavily in biotechnological researches and developments which is directly expanding the scope for oligonucleotide synthesis market growth. Governments in this region are also supporting the market considerably by approving funds. MRFR in their recent report on the oligonucleotide synthesis market distinctly studied segments with their proper valuation both value-wise and volume-wise to understand the market comprehensively. Factors that can impact the market in the coming years have also been included for a critical overview of the oligonucleotide synthesis market.